Boasting an impressive array of architectural flourishes, and greeting a steady stream of visitors with the magnificent statuary above its ornately-designed entranceway, Grand Central Terminal at Park Avenue and 42nd Street in Manhattan–which just last year celebrated its one hundredth birthday–is one of America’s most popular tourist attractions. 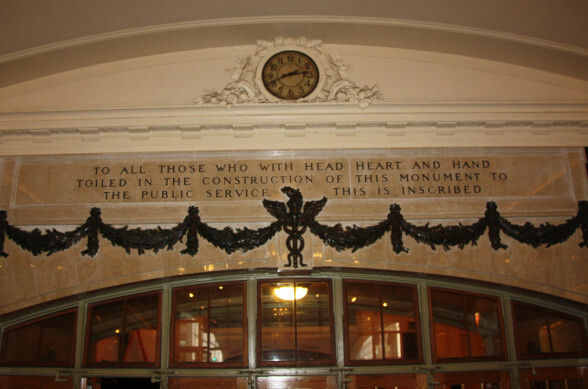 Construction of the iconic building began over a century ago in 1903; the terminal opened in February of 1913. Today, with its easy access to the Metro-North Railroad and local subway lines, Grand Central is, as ever, one of the world’s most recognizable transportation hubs, and the proud centerpiece of a neighborhood that includes not only the adjacent Grand Hyatt Hotel (formerly the Hotel Commodore), but also the world famous Chrysler Building. Art lovers may even recall that from 1922 to 1958 the terminal housed the Grand Central Art Gallery, the founders of which–while searching for a venue–chose the site because of its centralized location. Inside and out, Grand Central Terminal has always had about it a beauty, a majesty, that is breathtaking. The statues of Minerva, Hercules and Mercury, designed by French sculptor Jules-Felix Coutan and unveiled in 1914, that surround the clock above the main doors…the cavernous Main Concourse, in which–if you look up (way up)–you can see the signs of the Zodiac on the legendary, star-studded ceiling, a dizzying one hundred and twenty-five feet off the floor…the grand staircases…the huge windows…the massive chandeliers. Below the main level is the Dining Concourse, featuring the building’s oldest establishment, the famed Oyster Bar, along with many other restaurants (there truly is something for everyone at Grand Central); elsewhere, visitors, travelers and commuters can find everything from delis to bakeries, news agents to markets, and dozens of retail stores. (It’s a shopper’s paradise!) Even the New York Transit Museum has an annex there–and really, what better place? At its peak in 1947, over sixty-five million people passed through its doors; thanks to highway construction and the increasing popularity of air travel, business has tapered off somewhat, but Grand Central remains one of the most active transportation centers in the world. Films and TV shows have been using Grand Central as a backdrop for decades. It is beautiful, romantic, and quintessentially New York. In 1949, it was inducted–along with the man who created it, Cornelius Vanderbilt–into the North American Railway Hall of Fame, and in 1970, it was officially declared a Big Apple landmark. And if you’re looking for something to do, events at Grand Central include the 12th Annual New York Transit Museum Holiday Train Show, through February 23rd, and a photo exhibit on the Great Japan Earthquake, through March 3rd. Be prepared, though: there are so many people dashing about, especially during rush hour–or even just ambling along, sightseeing–that you might get jostled now and then. But don’t worry. 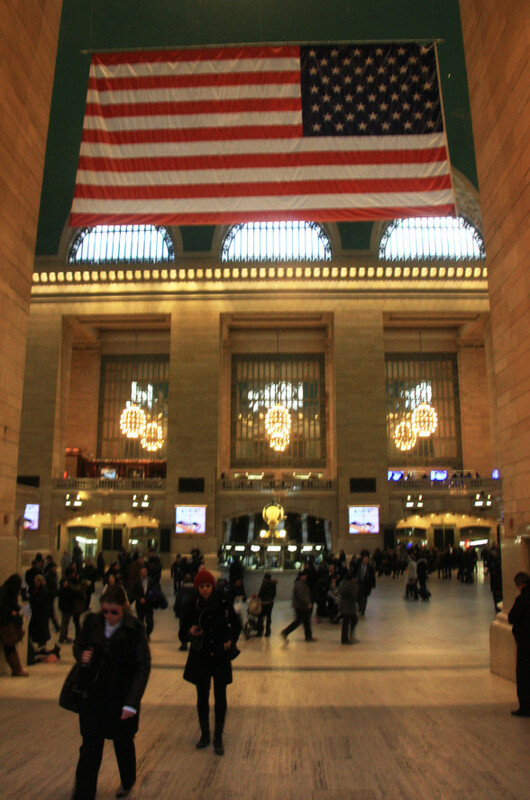 There’s a lot to see at Grand Central, and even more to do–so head on over…and enjoy yourself!